What are the best camper heaters in 2019? 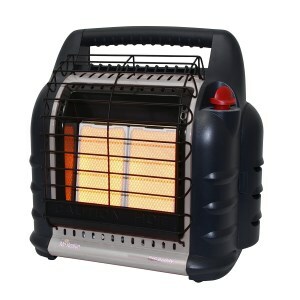 If you’re interested in finding the best camper heater out there but only have the time for a quick suggestion, then we’ll tell you straight off that the product to look for is the Mr.Heater Big Buddy MH18BRV. Our top pick should come as little surprise for those that are even remotely familiar with the subject, since the Big Buddy’s reputation is nothing short of legendary. This small portable unit can deliver up to 18,000 BTU of radiant heat through two highly efficient patented ceramic plates. The safety it provides is equally top-notch, with a with an auto shut-off function that gets triggered if the unit is toppled over, low oxygen levels are detected, or the pilot light goes out. If you’re more interested in a model that uses catalytic heating, then the Camco 57331 would make a great choice. This heater can produce up to 18,000 BTU and is suitable for warming up spaces under 300 square feet. The auto shut-off function is especially helpful, given that it prevents accidents from happening due to carelessness. The adjustment knob featured on this product lets you adjust between three different levels, low, medium and high heat. If you want to bring this device to altitudes higher than 7,000 feet, you should know it will shut down due to the lack of oxygen. 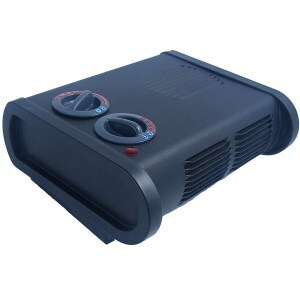 Try this heater if you want a reliable option for keeping your vehicle warmed up during the cold season. Despite the fact that this model produces slightly less heat than other alternatives, somewhere between 1600 and 3000 BTU/hr, it’s saved by the fact that it’s only designed to be used as a secondary heat source. It doesn’t need a power outlet or a battery, which makes it a good choice for camping or boondocking. Also, it doesn’t make any disturbing noise. Like many other similar devices, this product will not work if you take it to high altitudes. It can be inconvenient if you’re hiking. Your comfort and safety are preserved when you’re using this heater, even as a secondary source. One of the most affordable alternatives in this category, the Caframo heater has a low profile design that makes it excellent for being used indoors, since it’s difficult to injure yourself while using it. It has an anti-freeze setting and a built-in thermostat to help you adjust the temperature according to your needs. A five-year warranty from the manufacturer protects this item, so you’re safe. Perhaps the only issue that customers have complained about with this product is that it’s not ignition proof, but it doesn't claim so. This alternative is a low-budget choice for those who enjoy uncomplicated designs. 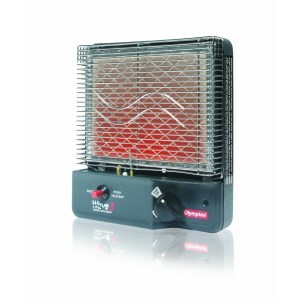 Since there are so many things to take into account, finding the best heater for campers can sometimes prove a chore. The risk of starting a fire will always be greater in the confines of a moving vehicle than inside a house, cabin or tent. Trailers can also vary significantly in the level of insulation they provide, so rough figures denoting the area of a cabin a certain unit can keep warm might not translate very well. You’ll find many things inside a trailer that might catch fire in contact with a searing surface, and the narrow spaces involved add a lot to this risk. That’s why it’s important for the heating element in a unit to be kept behind an ample grill, and this doesn’t reach temperatures that are above the flashpoint of most household material. Certain technological solutions (discussed below) are employed to ensure that the heating surface won’t act like an open flame, and other features might be included to make the unit as safe as possible. Some heaters automatically turn off when toppled over, so carpets and other sensitive material won’t catch on fire. An automatic shutdown might also occur when low oxygen levels are detected in the room if the model is equipped with the appropriate sensor. Some heaters that work with propane might have a shut-off valve, triggered when the gas fails to ignite in order to prevent it from filling the room. A relatively large number of technological solutions can be adopted for a good camper heater, but we’ll be mainly looking at three systems of radiating heat, common among the items currently available for sale. Ceramic tile radiant heaters are considered to give the best performance available for the fuel consumed. This is because the front tiles act to convert most energy received into heating radiation, which is projected throughout the room. Catalytic models are praised in camper heater reviews for the safety they offer, as the exposed surface will never get too hot. These work by facilitating certain chemical reactions which generate heat, but will need an outside fuel source. All else being equal, electric units can be said to be the safest, and they also provide you with a large number of options for temperature control, which is particularly important if you intend to be using the unit year-round. However, reviews of camp heaters stress out that electrics are also the poorest performing in regards to the total heating power delivered, expressed in BTU/h. The ever-popular Big Buddy will be as well suited for use in an RV as it is inside a log cabin or fishing tent. Just for these confined spaces, where the risk of a fire or asphyxiation is particularly high, it’s been outfitted with the latest in heater safety. The most advanced feature is an oxygen sensor that automatically shuts down the unit if the gas gets below certain levels in the atmosphere. This is sensitive enough that mountain climbers can witness their Mr. Buddy shut down at high altitudes, where the air is thin. The heater also stops automatically when it is toppled over, so it doesn’t burn the rug, or when the pilot light goes out. Performance-wise, the Mr. Buddy can deliver enough to keep you warm through a Canadian winter, with a maximum of 18,000 BTU/h at its highest setting, but it’s also sufficiently versatile to be left on overnight in milder conditions since it goes as low as 4000 BTU/h. This Camco Olympian doesn’t boast the same impressive figures as the Big Buddy, but it makes up for it in other aspects. First, it uses a catalytic heating system, which besides being highly efficient it allows for the heating plate to stay cooler than on other models. This will prove especially welcomed in the tight spaces provided by an RV, where one could easily bump into the heater, or things like drapes and furniture coverings can be kept dangerously close to its hot surface. Besides this, the Olympian is itself very compact, and thin enough to be wall mounted. Since it uses propane as fuel — from either the low-pressure RV supply or a tank — a safety shut-off valve has been included in case the Piezo starter fails in lighting up the gas. While not particularly powerful, it does provide a fair amount of versatility with a power adjustment that goes from 1600 to 3000 BTU/h. If there’s anybody who knows about dealing with cold, it’s the Canadians. Our neighbors to the north decided to put some of that expertise to use in designing this small and portable electric heater. It has a low profile, so it can be safely used as a secondary heat source while the RV is on the move, and being electric, the heat plate will be kept well away from your hand or foot, behind a thick metal grate. A blowing vent is used to dissipate the heat throughout the room, which can be set to various speeds according to the user’s preference. It’s been remarked that only the fastest setting can account for bothersome noise levels, so the ventilator on the True North will generally keep quiet. As with most electrical units, you’ll also get a thermostat, so it doesn’t needlessly burn energy throughout the night, and a number of intensity settings for the hot plate.